I am cooking an 8 course meal from the French Laundry for my friend's birthday and the Salad of Haricots verts is one of the dishes on my list. 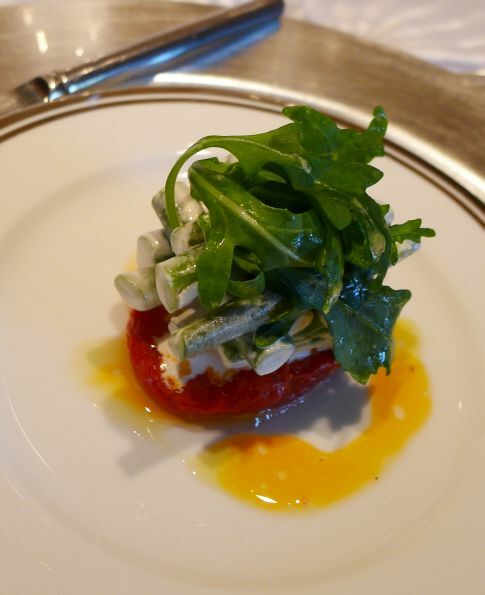 At first glance this dish looks very simple and fast to make but let me tell you nothing is fast and easy when you are cooking with the French Laundry cookbook. The tomato confit is slow roasted in the oven for 4 to 6 hours and what you get is a concentrated and wonderful flavor of the tomatoes. The haricots verts are blanched and then coat with a wine vinegar cream and then topped with a bit of seasoned Arugula. At first glance you probably said how good can tomato and Haricots Verts be? 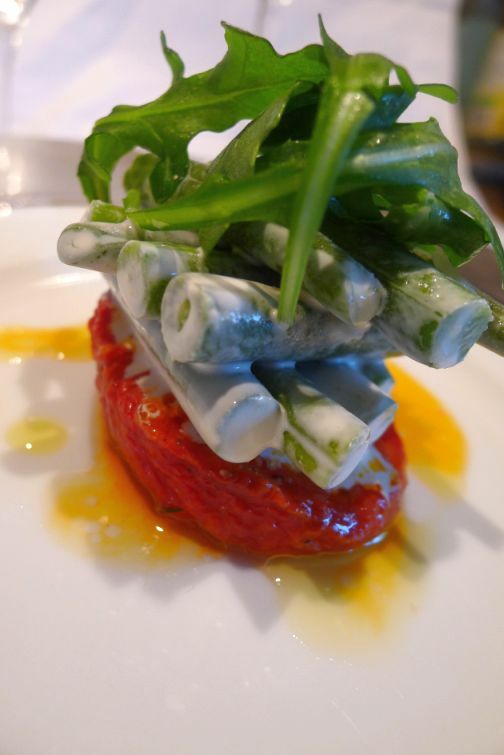 The ingredients are so simple but yet when you take that first bite into the tomato confit you will surprised of the concentrate flavor and the unexpected flavor against the cold and crispy Haricots Verts.. Simply delicious! 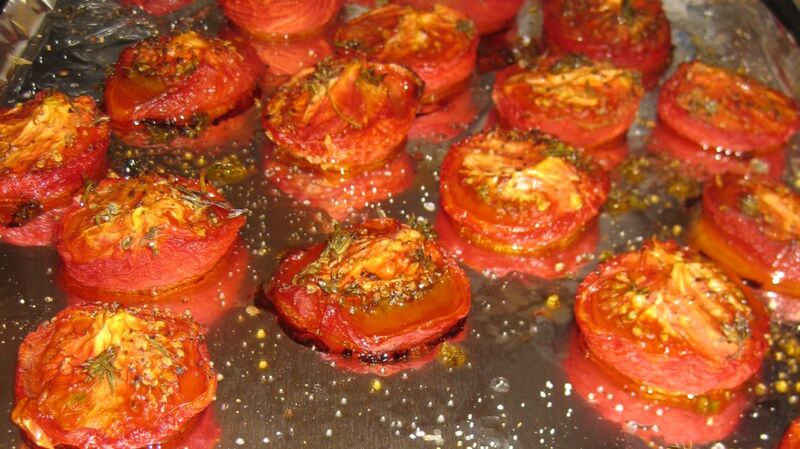 I drizzled a bit of olive oil and a bit of the juice of the tomatoes in the roasting pan. 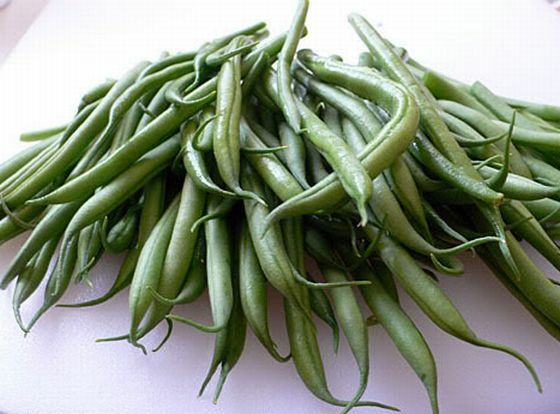 Clean your haricots verts and trimmed the ends. 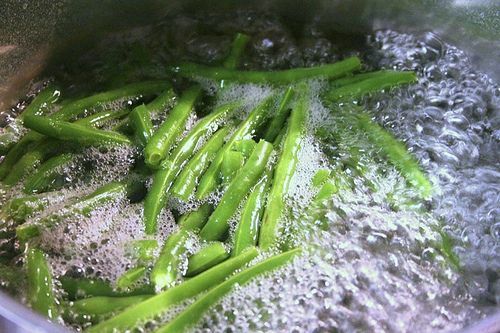 Blanch the Haricots verts in boiling salted water until they are just cooked through (about 2 minutes or so). 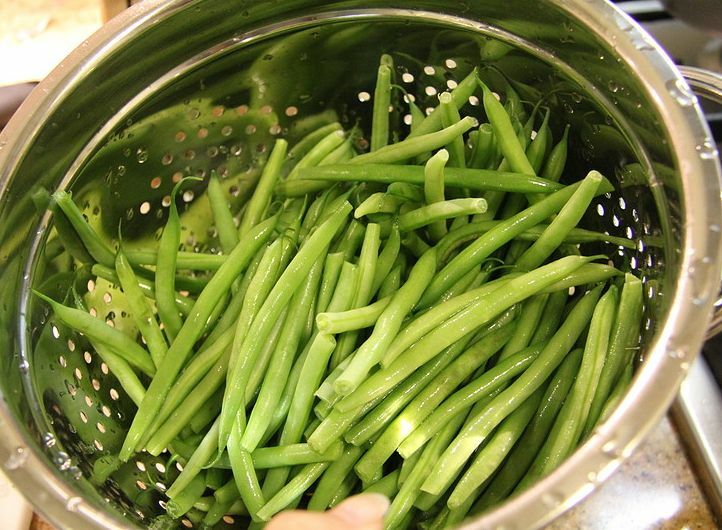 Drain the Haricots verts and chill them in an ice water. Drain and dry them on paper towel. 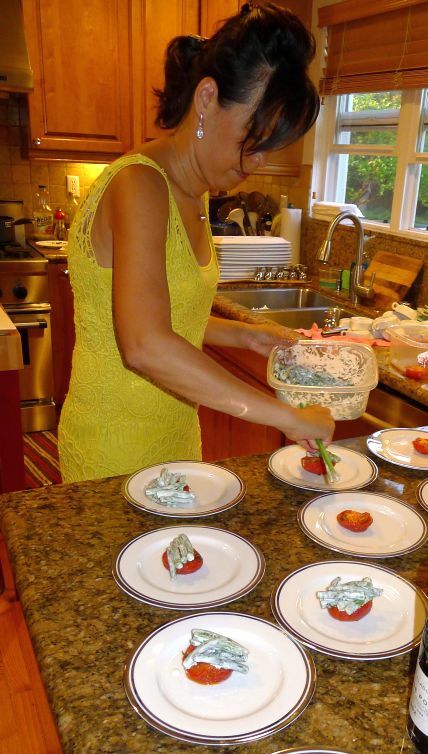 Follow instruction on how to make the Tomato confit. Let them cool down and refrigerate until ready to use. 1 hour before serving Toss the bean with just enough of the red wine cream mixture to coat them and refrigerate. 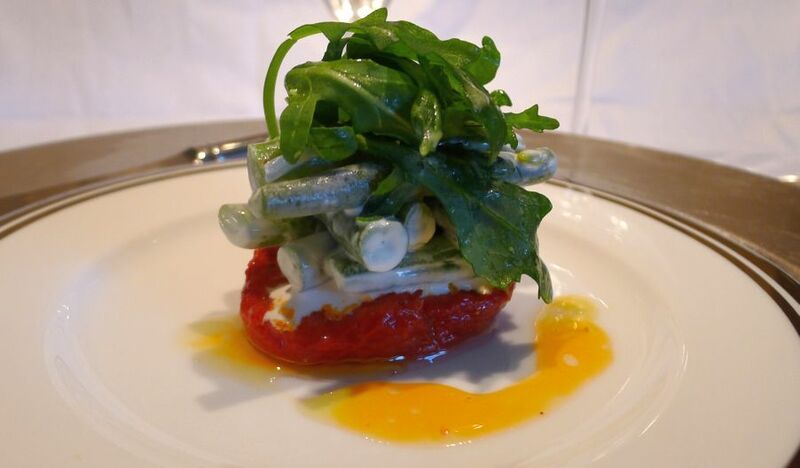 Plating: Put a tomato confit on each plate then stack the haricots verts on top to have some heights. In a bowl mix together the Arugula with olive oil and salt. 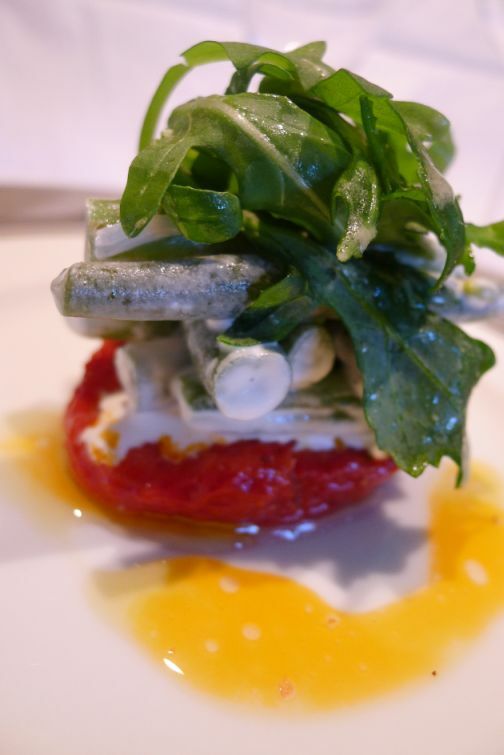 Mount a bit of Arugula on top of the haricots verts and drizzle a bit of olive oil around the tomato confit.